ADB projects 5.5 % GDP in Nepal for coming fiscal year - Integration Through Media ....! 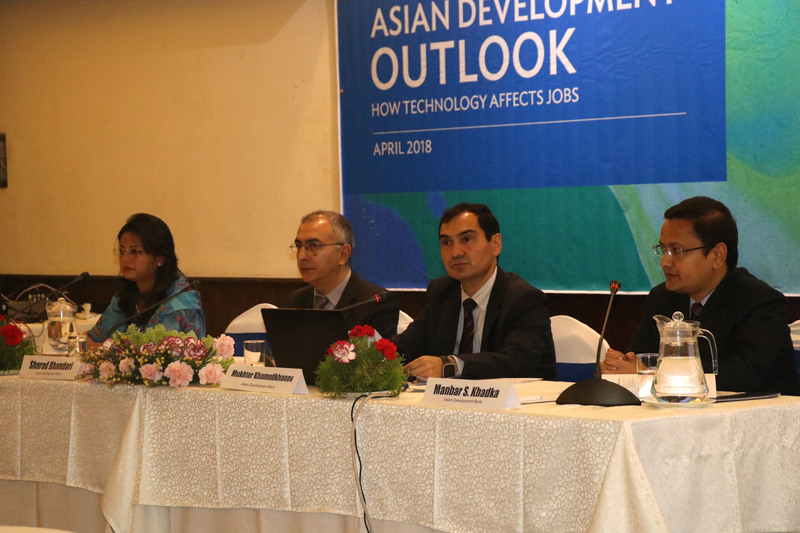 KATHMANDU: The Asian Development Bank (ADB) has forecasted 5.5 per cent of Gross Domestic Product (GDP) growth in Nepal in the coming fiscal year 2018/19. The ADB made this higher forecast hinges on the assumption of normal monsoon and acceleration of ongoing mega projects. It may be noted that the Upper Tamakoshi Hydropower Project of 456 megawatt will likely be added to the national grid by coming fiscal year, ending the country’s reliance on power import at least during the rainy season. The Edition of Macroeconomic Update of Asia, the main annual publication of ADB, released here today, expected Nepal’s economy to grow at a slower pace of 4.9 per cent in current fiscal year from 6.0 per cent in previous fiscal year weighed down by floods of August 2017 and the erosion of base effect. The Macroeconomic Update also shed lights on the importance of agricultural commercialization in Nepal and the need for its effective implementation by addressing legal, institutional, financial and infrastructural barriers. Commercialized agriculture via contract and cooperative farming methods can be one of the major sources of revenue generation for the country if practiced on a wider scale. It will not only help generate local employment but also meet domestic demands with improved crop and livestock production and promote export potential of niche agro products.